Data Hold, Audible continuity, temp, etc. Resistance: 400 ?, 4000 ? • Display : 4000 counts. • Auto range. • Diode test feature. 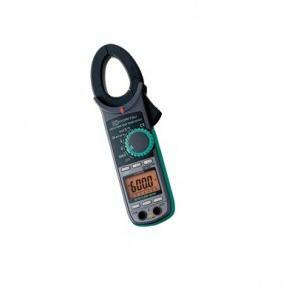 • Capacitance test feature. • Continuity test. 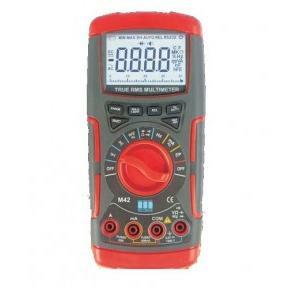 Accessories: 7066A (Test leads), 8919 (Ceramic fuse [10A/600V])× 1, 8923 (Fuse [0.5A/600V])× 1, R6× 2, Instruction Manual. • Compact in Size, Light in Weight and Simple in Use. • Double moulding provides comfortable and good feeling in hand. 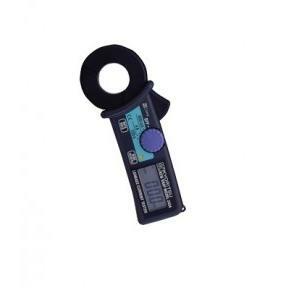 • Penlight illuminates brightly the point to be measured, even in dark place. 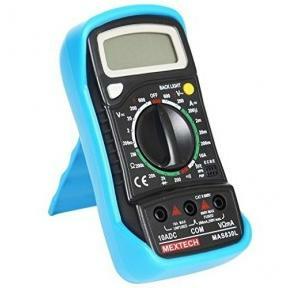 • Backlight LCD is highly visible, even in darkness. 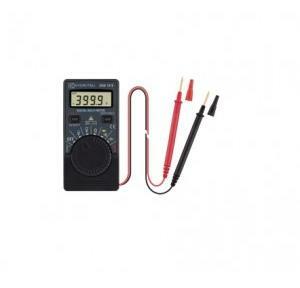 • DC voltage range is also available especially for checking emergency battery operated power supply. • Tear drop shaped transformer jaws for ease of use. 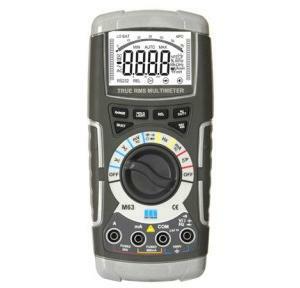 Accessories: 7066A (Test leads), 8923 (Fuse [0.5A/600V]) × 2, 9097 (Carrying case), R6 (AA) × 1, Instruction Manual. • Fully Safety jaw. • Ergonomic over-molded body gives convenient one-hand operation. 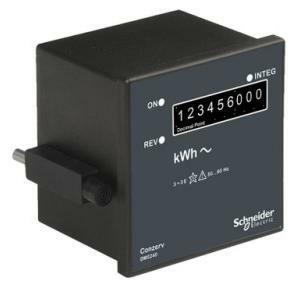 • Large easy-to-read display with 0.01A resolution. • Long battery life. • Safety Standard IEC 61010-1 CAT IV 300V / CAT III 600V. Accessories: 7066A (Test leads), 9079 (Carrying case), R03 (AAA) × 2, Instruction Manual. Accessories: Test leads, R03 × 2, Instruction Manual. 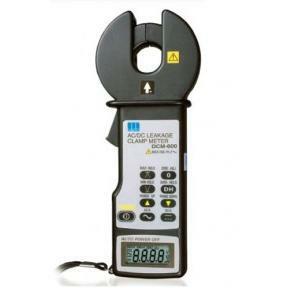 • Equipped to measure both AC and DC current with transformer jaws of large diameter. 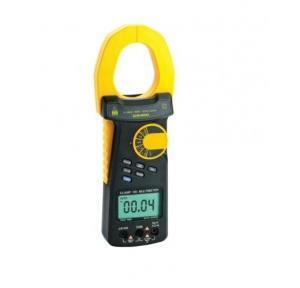 • Can measure AC and DC currents up to 2000A. • Output terminal for connection to recorders. 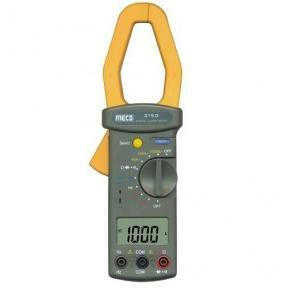 Accessories: 7107A (Test leads), 9094 (Carrying Case), R6 (AA) × 2, Instruction Manual. 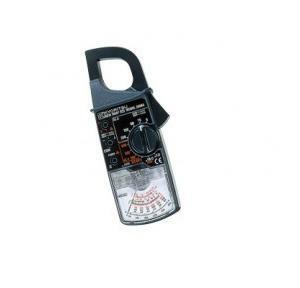 • Small and handy clamp meter. • IEC 61010-1 Safety Standard CAT ? 300V, CAT ? 600V. • DMM function ACV, DCV, ?, Continuity Buzzer. 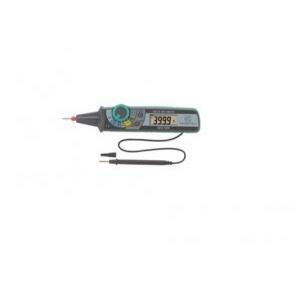 Accessories: 7066A (Test leads), 9094 (Carrying case), Instruction Manual. • Least affected by external stray magnetic field. • 20mA AC max. in proximity to a 15mm-dia conductor carrying 100A AC. • Frequency Selector Switch to eliminate the effect of harmonics. • Resolution 0.1mA. Accessories: 9097 Carrying Case, R03 × 2, Instruction Manual. 40,000 counts with LCD Display with pleasant Amber backlit. 0.05 % basic dc accuracy. 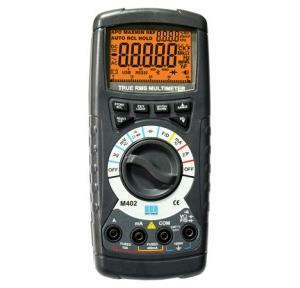 AC Voltage Frequency Response is up to 100 KHz. CE, CAT IV 600V, IP54. 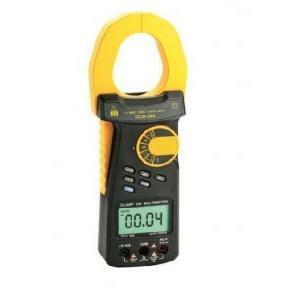 True RMS thereby allowing measurement of distorted wave form. 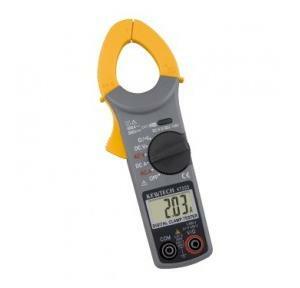 Multimeter + Clamp Meter. Water Proof / Fire Proof. CAT III safety compliance. 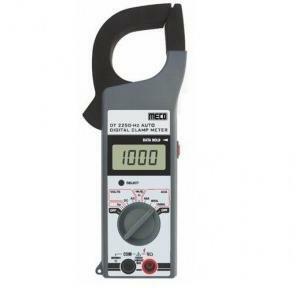 AC and DC Clamp meter average responding. CAT II & IEC 61010 safety compliance. Big Jaw size for large conductor. Extended battery life. Double Insulation for improved operator safety in hazardous environment. True RMS, 3 digits (4000 counts), Auto/Manual ranging. Auto Power off / Data Hold / Zero Adjustment/ Peak Hold. 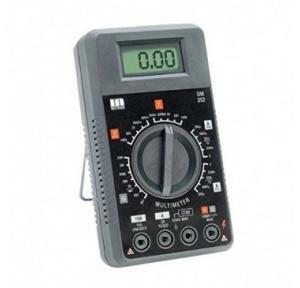 NCV (Non contact voltage detector) detects presence / absence of voltage. 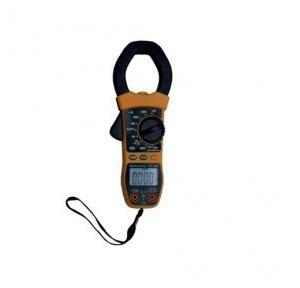 3200 Count (AC-AVG) LCD, 0.01mA resolution for measuring earth leakage currents. Multi Function, Economical, Small & Handy, CAT II safety compliance, Provides auto AC/DC selection. 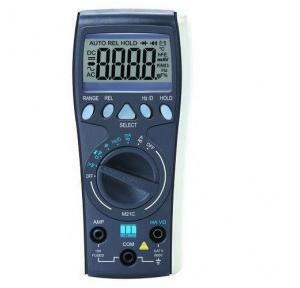 3½ digit LCD display. 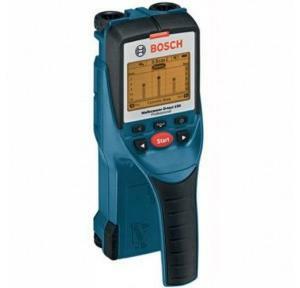 Heavy-duty shock, dust and drop proof. Overload protection upto 450 V AC on all ranges. 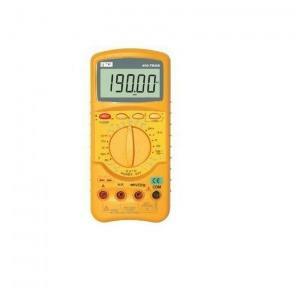 Most accurate meter (0.25%) on DC voltage range. 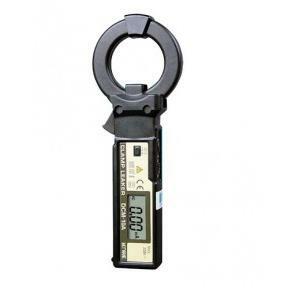 Optional 40KV AC / DC high voltage probe. 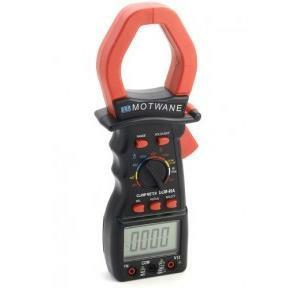 Accessories: Pair of test leads, Instruction manual & 9V Battery. 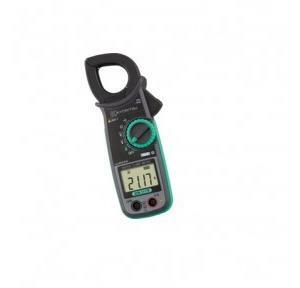 4000 count LCD display with white backlit. Rugged Mechanical And Electrical Design. AC/DC current up to 20A range. 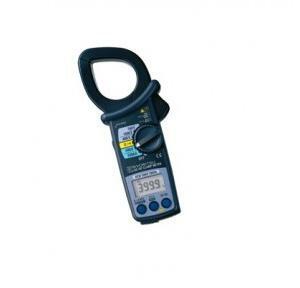 Frequency , Capacitance , Temperature and Duty Cycle measurement CE /CAT-III 1000V/IP54. 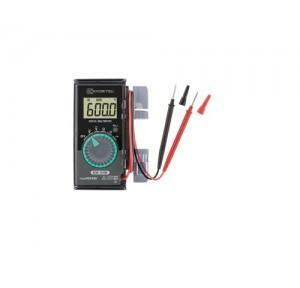 4000 Count LCD display with white backlit. 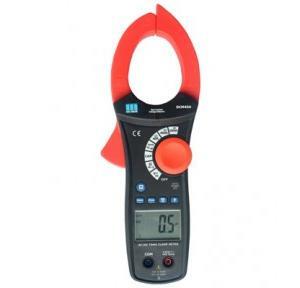 Auto ranging, Trms AC Voltage, Current, Frequency, Capacitance, Temperature & Duty Cycle measurement features. 20Amp AC/DC with overload protection. 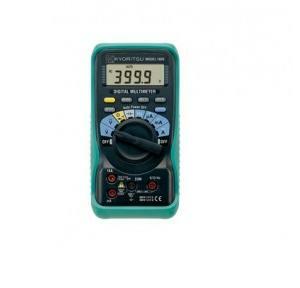 CE / CATIII 1000V / IP54. 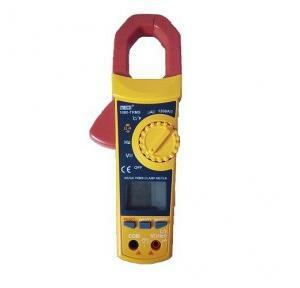 Accessories: Pair of test leads, User manual, Battery installed, Fuses. 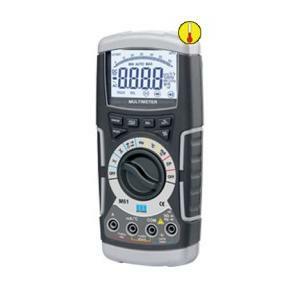 0.5% basic Accuracy, 2400 Count LCD display with large digits for easy visibility. 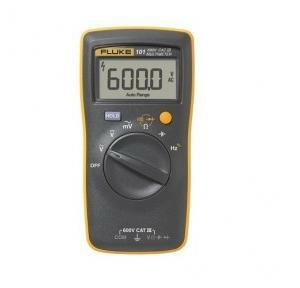 Voltage range up to 1000V DC/750V AC. 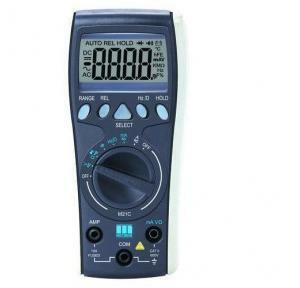 AC/DC current range up to 10A. Resistance measurement up to 24MOhm. Capacitance, Frequency, Duty-cycle, and Diode measurement. 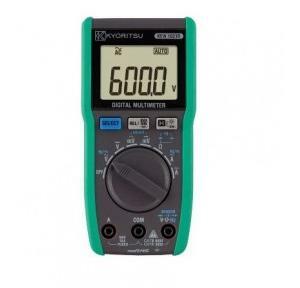 Average, 6000 Count digital multimeter. Temperature measurement facility. CE, CATIII - 1000V and IP54. Reinforced Insulation. EN 61010-1:2010 & EN61326-1:2006 compliance. Rugged, Dust proof casing. Accessories: Pair of Test Leads, Battery installed AAA 1.5V X2, User Manual, Spare fuses. 6000 count Trms with white backlit. AC/DC current range upto 20A. 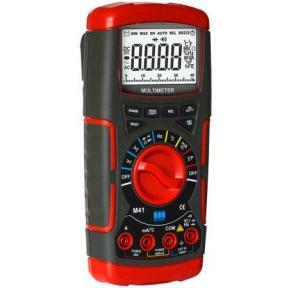 Rugged, robust industrial grade multimeter. Highly linear, safe and reliable. 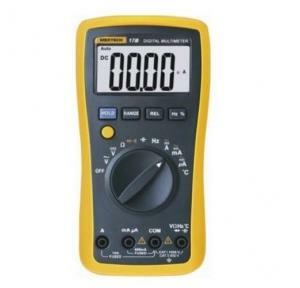 CE/CAT IV,600V/IP-54. IEC 61010-1-2010 compliance. 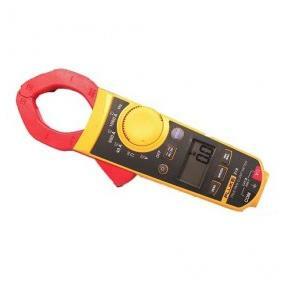 Accessories: Pair of Test Leads, Battery installed, User Manual, Fuses.